The Energizer® Waterproof Handheld is compact, lightweight and has been specifically designed for use in emergency situations. The robust, impact-resistant body withstands rugged use, and waterproof technology allows the light to operate even when fully submerged in water. Providing bright light output with the ample runtime needed for emergency situations, the light also features reflective panels for easy location when needed. 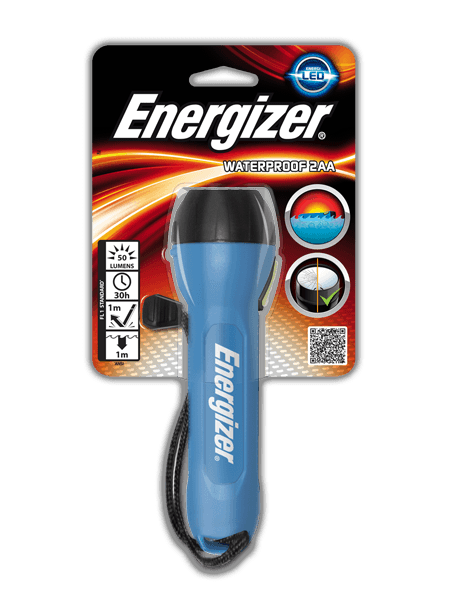 Ideal to keep in your emergency kit at home or in your auto, the Energizer® Waterproof light is reliable in all types of conditions.